Put the music back into your family's Passover celebration! 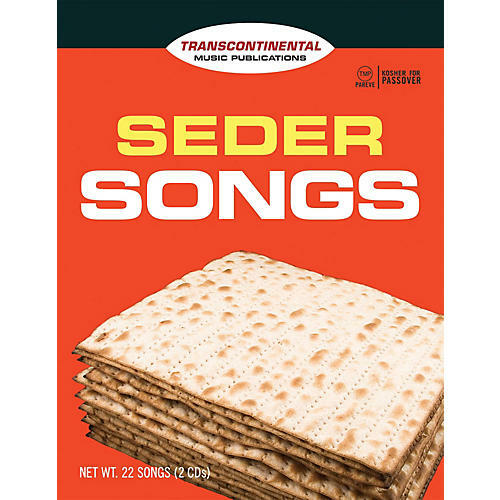 Seder Songs features 23 fantastic tunes for the Passover seder. You'll find some of the most tried-and-true traditional melodies from both Ashkenazi and Sephardi traditions, as well as the newest contemporary settings from artists like Peter and Ellen Allard, Noah Budin, Max Chaiken, Debbie Friedman, Eric Komar, Steven Sher and Peri Smilow. The collection includes a variety of songs tailored to children as well as offerings for adults of all ages. Read along, sing along, or both! This songbook includes fully-notated lead sheets, as well as two CDs - one featuring complete recordings of each tune and another in music minus one format for a musical backdrop to your own spirited seder singing.